Monkey Comments: I actually don’t know the story, so i have no idea which of these covers is the most accurate. 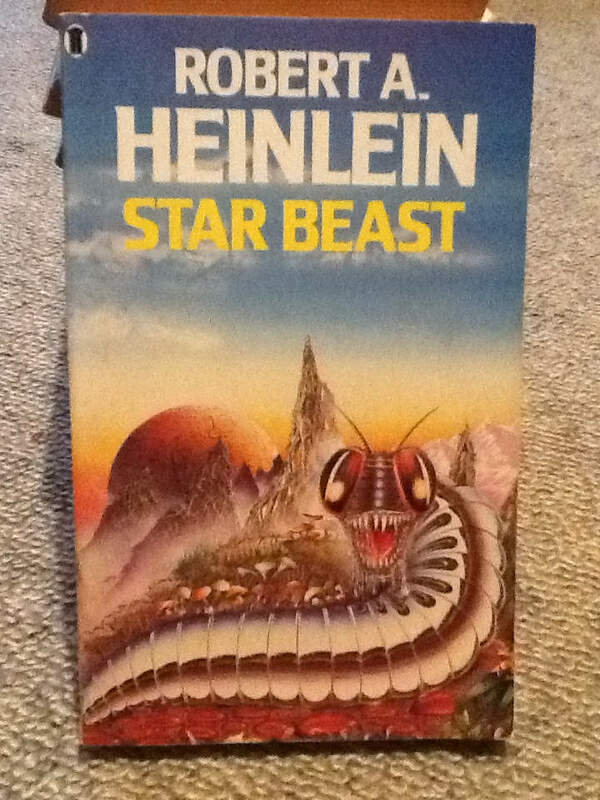 With Heinlein you can never tell. A short cut to mushrooms – or – Farmer Maggot gets his revenge. Does it turn into a big, beautiful space butterfly? This horridly be-fanged caterpiggle leaves me rather bored. Maybe it’s a typesetter’s error: ‘t’s a breast, referring to the big round thing. @Monkey, “which of these”? There’s only one! Judging from cover no.2 it actually turns into a beautiful butterfly. Well, that or a disturbing grove of conjoined giant eyestalks.